After hating on pointy stiletto nails for pretty much all of my life, I finally caved and tried almond shaped nails! Since my nails have grown a significant amount since my last gel manicure (yes I still have baby nails no matter how long they are), they're definitely more subtle than traditional almond shaped acrylic nails. Very proud that these are my natural nails with just gel polish on top. 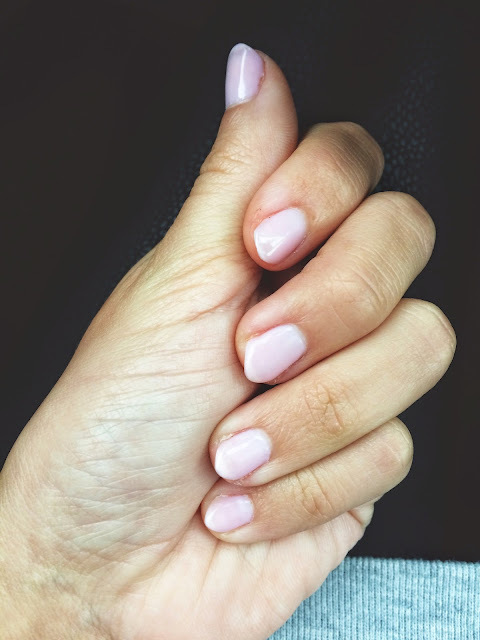 The color is similar to OPI's bubble bath, but a more solid pink by Cuccio Colour. Very impressed by my nail lady's work and was shocked to find out it only came to $16 for a gel "polish change" compared to their regular $21 gel manicure! Who knew my bargain of the day would be my nails?